dance.net - Sparkling Shauna Shiels solo - priced to sell! 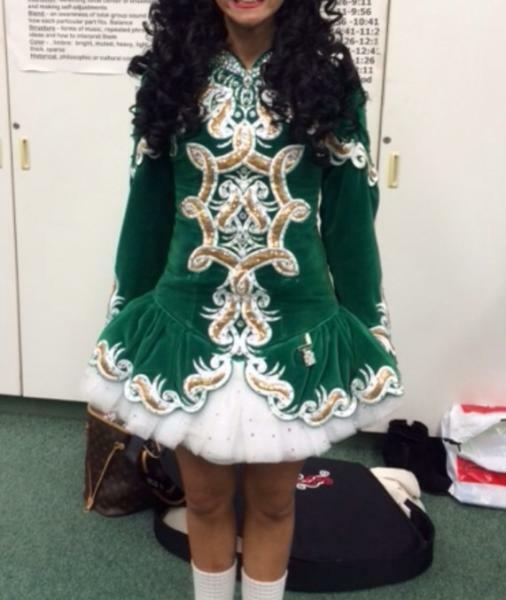 (10241000) - Read article: Ballet, Jazz, Modern, Hip Hop, Tap, Irish, Disco, Twirling, Cheer: Photos, Chat, Games, Jobs, Events! 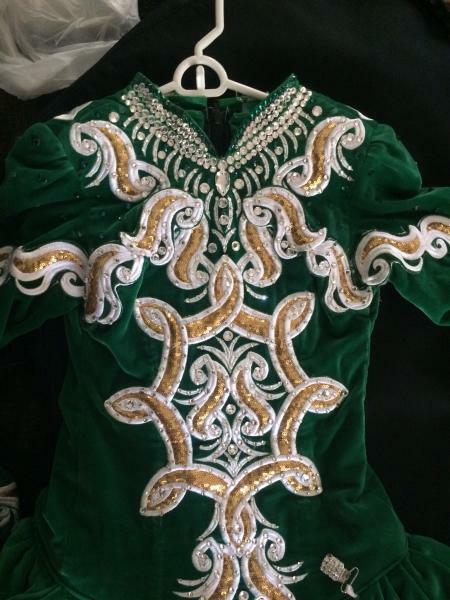 Sparkling Shauna Shiels solo - priced to sell! Get noticed with this stylish Doire dress covered in Swarovski crystals! Emerald Green velvet, gold sequin appliquÃ�Â©, and white embroidery will help you stand out in a sea of pink and black. Asking $950. Price includes matching embroidered headband made by dressmaker, gold spankies, and number clip. Located in Pennsylvania, USA.